This month there were four very different species. 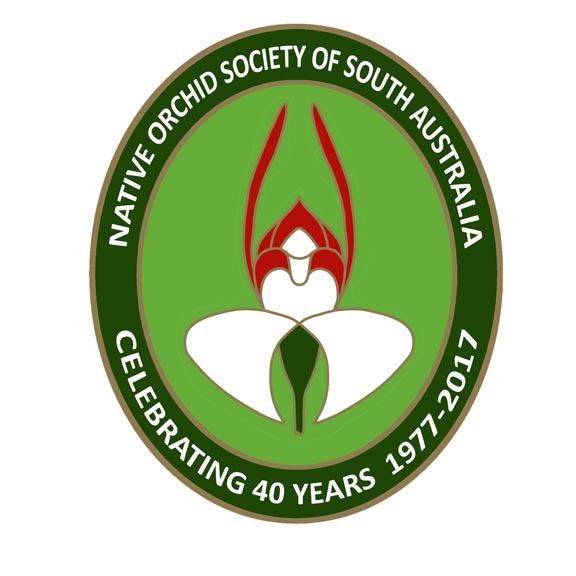 Two were from Western Australia, Pauline Meyers’ Caladenia longicauda and Lorraine Badger’s Thelymitra pulcherrima, and the other two from South Australia, Rob Soergel’s Bunochilus viriosa and Robert Lawrence’s Corysanthes diemenicus which was the winning picture. 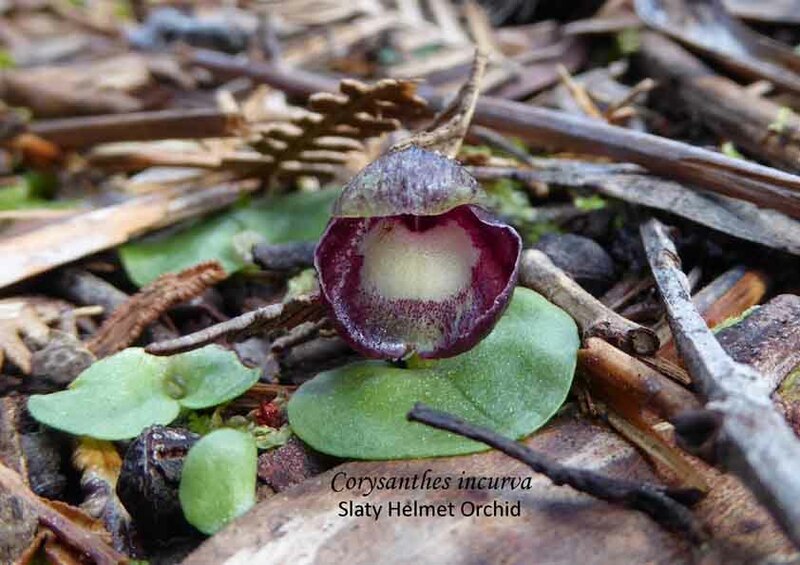 Corysanthes diemenicus is a very common winter orchid but this one is unique as instead of one flower as is normal there are two! So is it a new species? No, it is a freak; the technical terminology is teratologic. Of the various plant families, the mint and orchid families (Theissen 2006) are well known for producing teratological plants, that is, plants that are grossly abnormal or deformed. Bates (2011) divides such abnormalities into five categories – peloric, teratological freaks, monstrosities, colour variants and throwbacks. All of them are congenital abnormalities which may be a result of unknown genetic malfunction or viral infection in the early developmental stages of the plant. Based upon this division, Robert’s picture is a monstrosity. This type of double flower is more likely to be found in self-pollinated plants for example Pterostylis foliata often produces more than one flower. Most freaks are random, they come and go but peloric freaks are interesting. An early meaning of peloria was an irregular feature that becomes regular (Walker 1879) but in the orchids the meaning has been narrowed to refer to an “abnormality of the labellum that is of a similar shape and colour of the petals” (Australian Orchid Genera 2006) or more precisely an abnormality of the inner tepal whorl (the petals) wherein the petals can take on the appearance (in part or full) of the labellum, or the labellum takes on the appearance of the petals. One naturally occurring semi-peloric species is Calochilus imberbis. In recent years, orchid growers have cloned peloric freaks using a technique called mericlone to produce new cultivars eg Rhyncolaelia digbyana var. fimbripetala. Freaks may be interesting but they are temporary so if you spot something unusual in the field look around at the surrounding orchids. If there is only the one or two individual or one colony, then it’s likely to be an abnormality rather than a new species. Thank you to Greg Steenbeeke for checking this article.